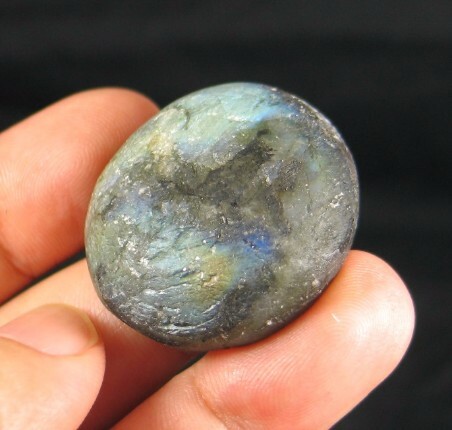 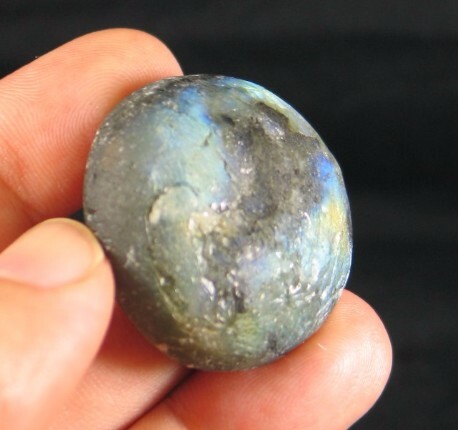 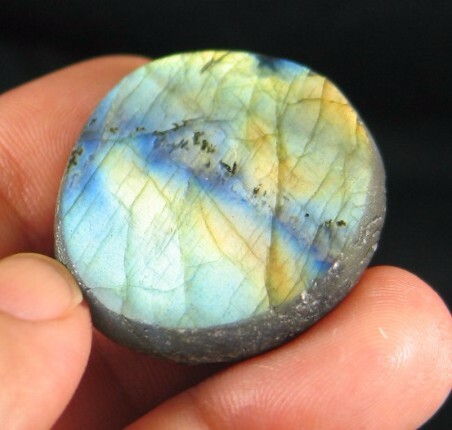 Labradorite ranks as one of our favorite stones. 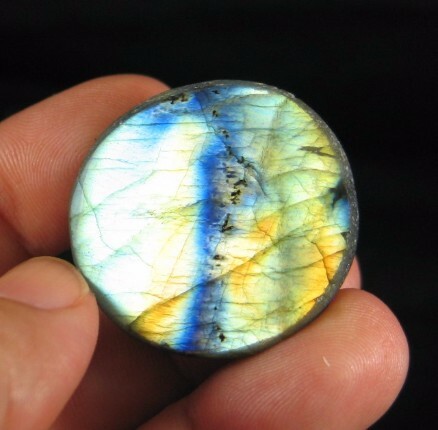 This piece is partially polished, with a flat fully polished side and rounded matte side that flashes color all around. 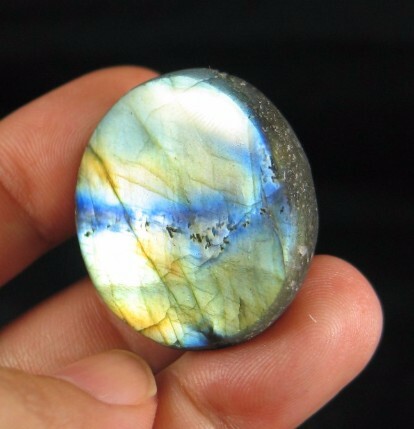 I love the contrast of bright gold with blue.